The Next Stage: Women and Retirement: Be careful what places you revisit; sometimes it’s best to keep the memories intact. Karen, what a fascinating account! I think this may be your best blog entry yet. ¡Muchas gracias! I love your account of your 1972 trip, it was very informative and as your sister I learned a little more about you. I agree it was a great blog entry. I fell in love with nueva canción when I was 20. I slept to it. Unfortunately it only produces a blank stare when people ask "what kinda music do you like?" Thanks Juanita, Betsy, and Joel for your comments. Joel is right. Very few people know about La Cancion Nueva. 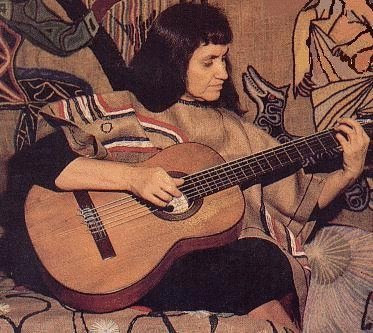 Somebody should make a film about La Cancion Nueva and the role it played in Chile in 60’s and 70’s. Violeta, her children Angel and Isabel, and Victor Jara have compelling personal stories which could be woven into a really powerful film. 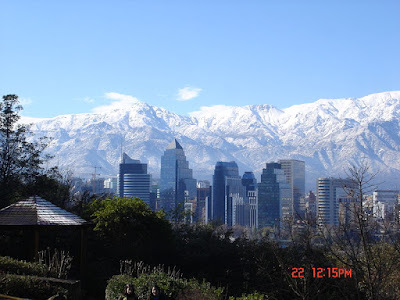 I loved your description of 1972 Chile, and it brings back many memories for me. . .Though I have never been to Chile, the September 11, 1973 coup was in a sense the beginning of my political awakening. I was in 11th grade in a small, rural PA town at the time & really was not aware of the coup until entering the University of Pennsylvania the following year. I was an engineering major & had to take 5 math/science course & 1 elective. I chose "Revolution & Democracy in Chile: the Rise & Fall of Allende" - not because I knew anything about Chile or Allende, but because I supported democracy & saw my country as "democratic". Anymajor problems, I thought, were because people were not educated enough. Well, were my eyes opened! The course was taught by a CHilean refugee & gave all the details of the CIA & corporate involvement in funding & orchestrating the opposition to Allende up through the coup and mass torturing in soccer stadiums. (I still think about this anytime I see a stadium.) At first I did not want to believe my country would be involved in such a thing. . .But, the more I read, the more I saw it was true. That is what led me to switch to major in history -- to try to find out WHY? & WHEN? & how to stop such abuses of power in the future in order to really promote democracy.